Another month slips by and I wonder where did it go, what if anything did I get done. Rest assured I have been busy doing a few things. First up a secret sewing project took up most of my attention and time, more about that in the new year. Wow talking about the new year already. Slow down I need to get through the rest of this year first, and there may be a big holiday in there too. No homemade gifts this year my wonderful NOT machine is again in for repairs. I am ready to give up on it, I haven't trashed the company that makes it but that doesn't mean I don't want too. This is the seventh time in two years that it is in for repairs. I took it on Nov 5. and may get it back by the 15th of Dec. This is the machine I do my fmq on. I do have an older machine I'm using but with a small throat space and no extension table for it makes it hard to do fmq. I am beyond frustrated. It spends more time in for repairs than it is being used by me. I need it to work properly so I can quilt it is what helps to relieve stress and brings a smile to my face. Progress is being made at least on one project. 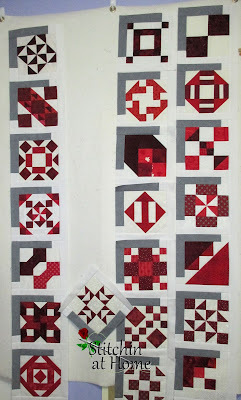 I have been putting my 150 Canadian women quilt blocks together, I only made 80 of the 150. But if I do say so myself it is coming together nicely. I am doing 10 rows of 8 and have 7 rows done. A new ironing board cover was also made. I think it was past due! What do you think? A little retail therapy doesn't hurt at any time. These are from Stitch-It Central in London, On. Forgive the shadows, it is dull and grey out again, so indoor photos it it. The sun is hard to find lately. Tonight we are off to see our local Santa parade. I hope your quilting is going smoother than mine. Sorry to hear about the frustration over your machine. Nothing worse than that, when you want to be sewing and happy! I love your Canadian Women quilt, with the shadow box effect! 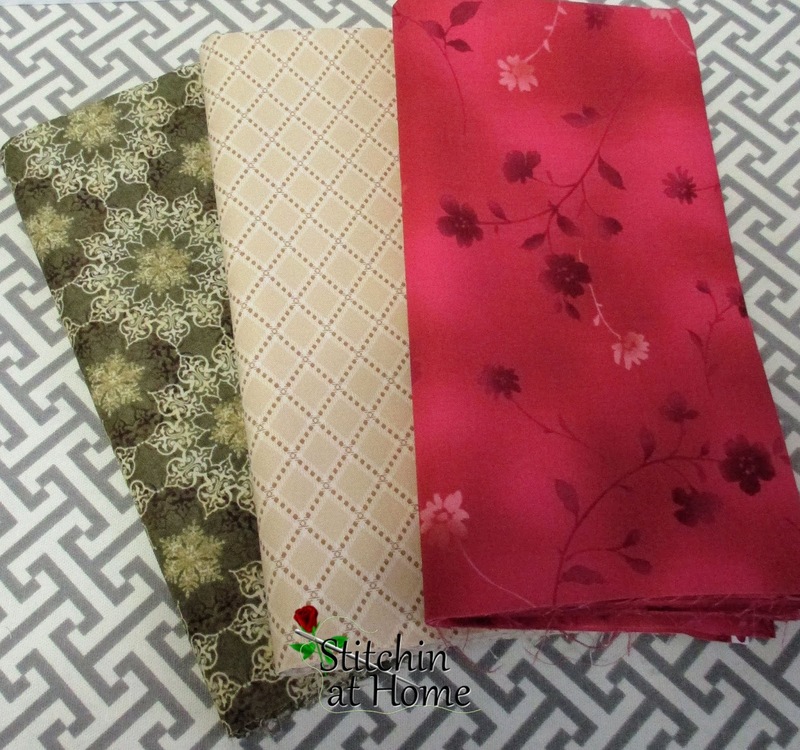 We are settling into a winter storm, so I'll be heading down to my sewing room soon! Ooo! how aggravating to have an unreliable machine!I'm glad you are able to make progress with other projects even if FMQ is not possible at the moment.The Canadian Women quilt is really attractive. What a bummer to hear that your machine is back in for repairs again. I also had a lemon of a machine that I finally gave up on and I am a much happier quilter now even though it was painful to part with something that I lost so much money, time, and frustration on. Your 150 Canadian women blocks are looking wonderful together and I hope you have a great time at your local parade! How terrible to be without your machine. Guess that's a great excuse to have several machines LOL I can't believe how fast time is going. I've had to start a list of the QAL, etc. that I'll be doing in 2019. I need a plan to stay focused. Your blocks look great.